Pickling is transformative. It takes entirely ordinary ingredients and adds a new dimension to them. In today’s case, that ingredient is red onion. 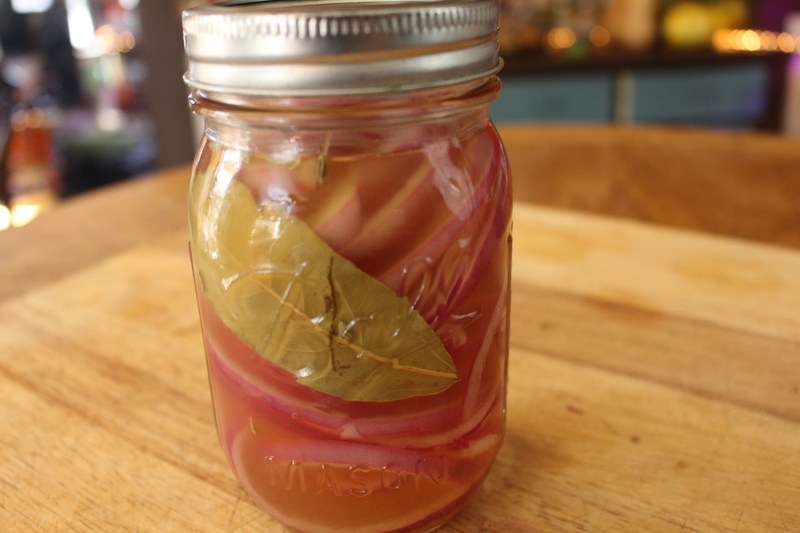 Unlike canning, pickling doesn’t require the food or container to be completely sterile beforehand (due to the low pH killing/prohibiting most bacteria. 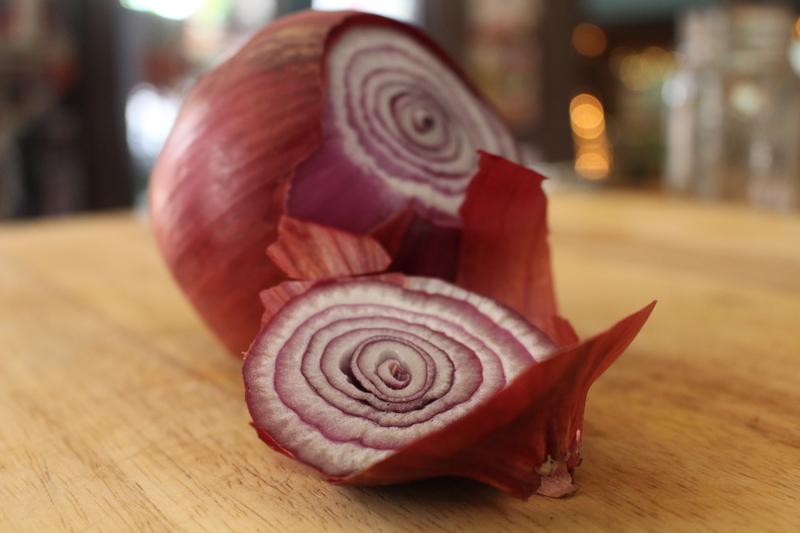 onions themselves are antimicrobial too!) The term pickle was procured from the Dutch word pekel, meaning brine and it’s done two ways: salting or submerging into vinegar. With the salting method, you create a brine of salt of water and immerse the food in it, in an airless state, and fermentation begins. Fermentation is when the sugars are converted into lactic acid [a natural preservative], which is what gives pickles their irresistible sour taste! If the food has enough moisture, it seeps out and combines with the salt, creating its own brine. 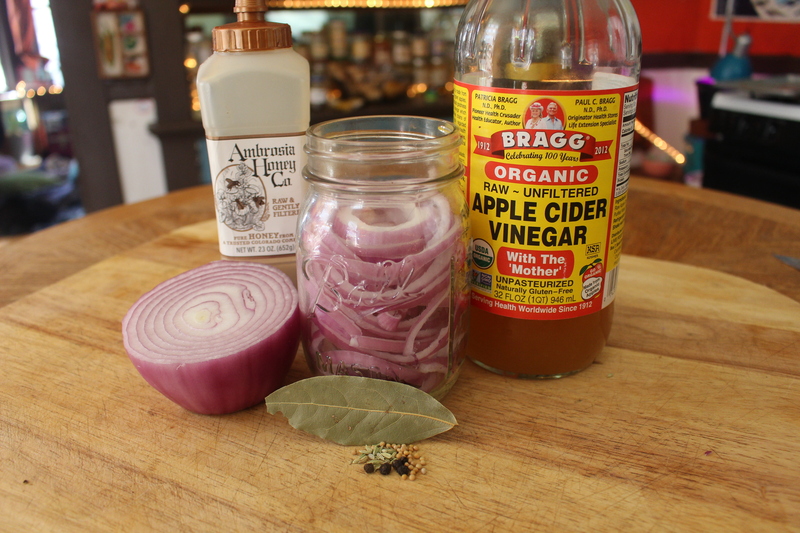 The second process of pickling, and the one this post is focused on, is much quicker. You simply immerse it in vinegar. optional flavoring: I used 1 bay leaf, 5 black peppercorns, 1/2 tsp fennel seeds and 1/2 tsp mustard seed. Other suggestions are dried chilis or allspice berries, or other things with antimicrobial agents like garlic, clove, oregano or thyme. If you don’t need them ready in 30 minutes, it’s not necessary to blanch them. Just combine everything and let it sit at room temperature a few hours before eventually moving to the fridge. Unlike my previous posts, in the future I’m going to try to avoid packing 3+ recipes in each. 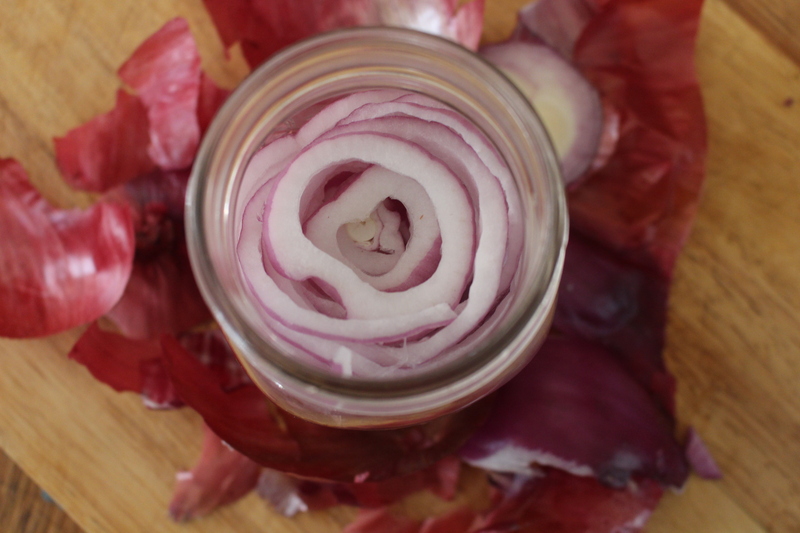 In all honesty, I only wrote up this post because I am in the middle of creating a recipe right now that involves pickled onions. This topic (pickling, fermenting, preserving) deserves an exhaustive post that will hopefully inspire everyone to do lots of further exploring on their own. This post is just me starting to dip my toe into the beautiful, decaying world.